Happy first day of Fall! Ok, so I’m a day early, but I’m just so excited that the season is officially here! After going to Denver a few weeks ago and being able to wear booties and a sweater I feel like I’ve been in Fall mode. We are getting ready to put all of our belongings in storage and move in with my in-laws while we build our house, which sadly means I won’t have a chance to fully decorate for fall. But this doesn’t mean that I can’t get in to the Autumn spirit. I wanted to share a boho inspired Fall art print to bring the beauty of the Autumn season into your home. Best of all its FREE! You can print it out at home on your favorite cardstock and pop it into a frame. Last year I shared a free Thanksgiving printable that had feathers too, I guess I’m a little hooked on them lately. 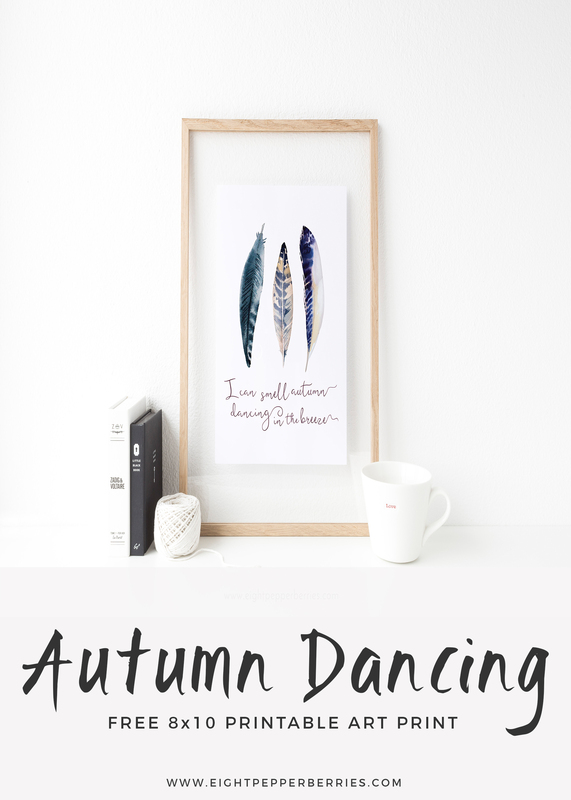 I’m calling this Fall art print Dancing Autumn, I hope it will bring a cozy vibe to your home. If you display this art print I’d love to see – tag me in your Instagram photo (@eightpepperberries)! Feel free to print it, frame it, gift it, and as always share it with a friend. 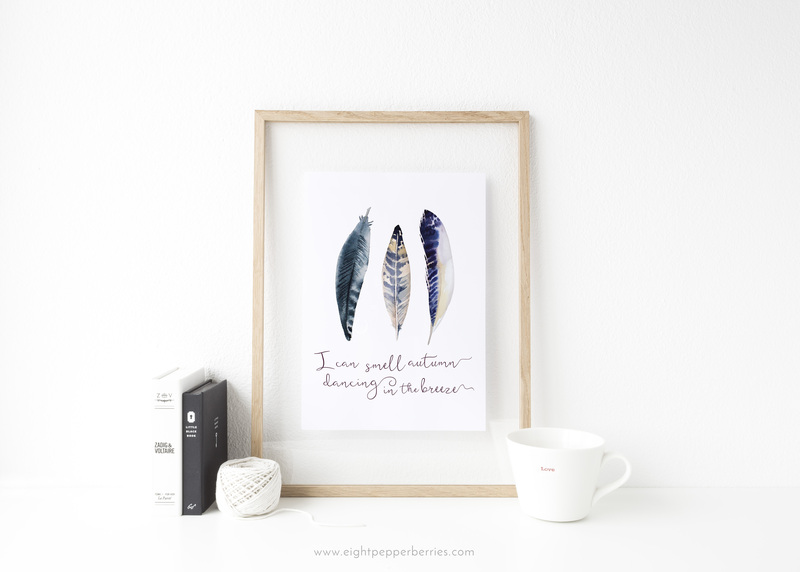 If you are looking for more Fall inspired art prints, take a peek inside the Paperie + Gifts shop. Get on the Eight Pepperberries list and be the first to know when new freebies are released!